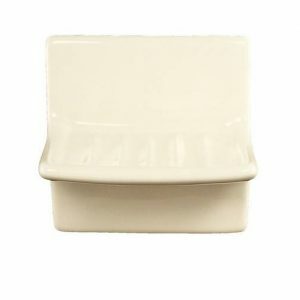 If you need to replace a soap dish and are looking for a ceramic soap dish with a classic look, Plum Street Pottery has plenty to choose from. 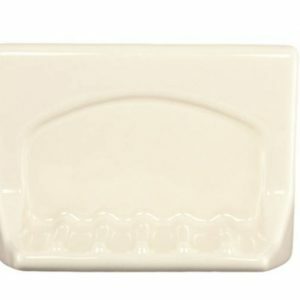 We offer a wide variety of Lenape ceramic soap holders for the vanity, tub or shower. 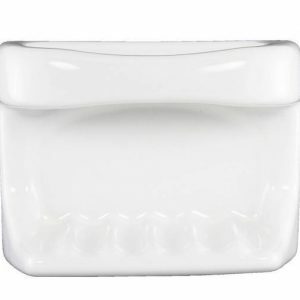 Our vanity soap holders come in classic white styles with no ornamentation, or in more decorative floral designs. 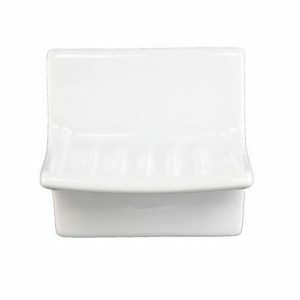 The vanity soap dishes we offer are all quick and easy to install with our concealed screw Clip-On mounting. 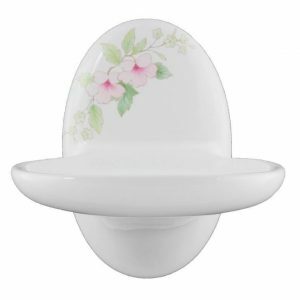 In addition, the ProSeries vanity ceramic soap dishes are designed for tile installations. 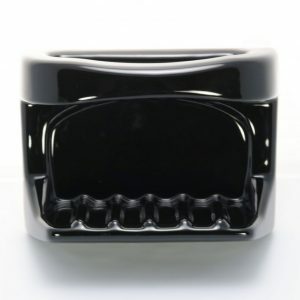 Ceramic soap holders for the bathtub or shower are Lenape’s ProSeries. They are a thin set tile-in installation. 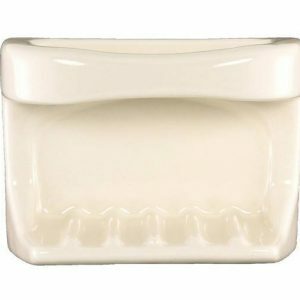 These ceramic soap holders are impermeable to water and stains and come in your choice of bone or white, with or without a washcloth holder bar. The Lenape ProSeries requires a tiled grout in, thin-set installation. 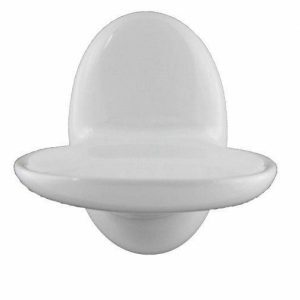 In other words, the 5/16″ back fits into a 5/16″ or deeper recess in the wall. Most tiles are approximately 5/16″ thick. The flange fits over the edge of the tile to maintain a neat trim appearance. The edge of the flange must be sealed with a high quality caulk like silicone. It is important to maintain the caulk to prevent water penetration. 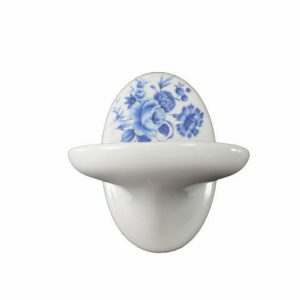 All our ceramic bathroom accessories have complete installation instructions on each product page. ProSeries Installation. Clip-On Wall Mount Installation. 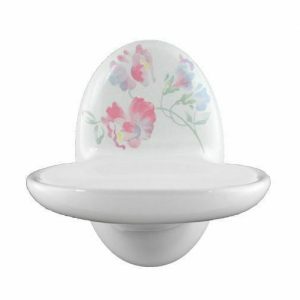 The right ceramic bath accessories add usefulness and timeless style to your bathroom. 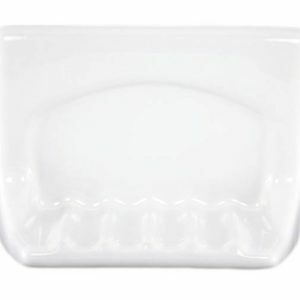 Shop our selection of Lenape’s durable, elegant ceramic soap dishes today.